Post written by Vivek Kumbhari, MD, from the Department of Medicine and Division of Gastroenterology and Hepatology, The Johns Hopkins Medical Institutions, Baltimore, Maryland, USA. Gastric mucosal devitalization (GMD) rats had a lower body weight and reduced intrabdominal adiposity compared with sham surgery rats. The morphologic findings at 8 weeks postoperative were compared with those of sham surgery. GMD rats appeared smaller in size compared with sham surgery rats. Additionally, GMD rats had grossly diminished adiposity of the greater omentum and surrounding intestinal organs. Findings were quantified in Figure 2 . HFD, high-fat diet; SH, sham surgery; GMD, gastric mucosal devitalization; VSG, vertical sleeve gastrectomy. The metabolic improvements seen in bariatric surgery are out of proportion to what one would expect from weight loss alone. The underlying mechanisms that result in these changes are largely unknown but are thought to be related to more than just a change in the volume of the stomach. Post bariatric surgery, aside from a reduction in gastric volume, there is a reduction in the amount of gastric mucosa that is in contact with food. The gastric mucosa secretes orexigenic (ghrelin) and anorexigenic (leptin, obestatin, and nesfatin-1) hormones, making it a complex regulator of food intake as well as glucose and lipid metabolism. We sought to investigate the hypothesis that gastric mucosa is an independent regulator of body weight and obesity-related comorbidities. The endoscopic weight loss community (physicians, biomedical engineers, industry) has placed a significant emphasis on methods to reduce the effective volume of the stomach (intragastric balloons, endoscopic sleeve gastroplasty, etc). Although these techniques result in clinically significant weight loss, they do not yet have a robust impact on obesity-related comorbidities. For endoscopic bariatric therapies to become the new standard of care for obesity, the focus of innovation needs to move to one where there is a significant reduction in obesity-related comorbidities (diabetes, NASH, etc) as opposed to simply weight loss alone. 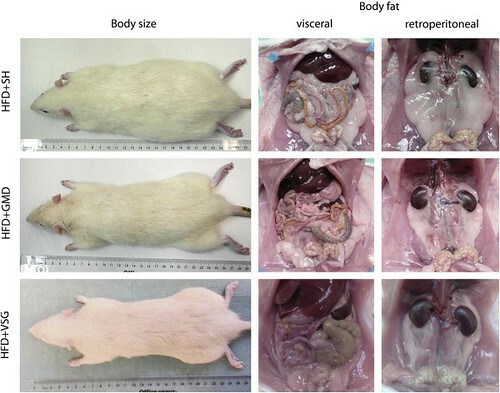 Gastric mucosa devitalization (GMD) of 70% of the stomach (similar to the amount of stomach removed at sleeve gastrectomy) was achieved by argon plasma coagulation in a high-fat diet rat model and was compared with VSG and sham surgery. GMD resulted in significant reductions in body weight, visceral and subcutaneous adipose tissue, and hepatic steatosis as well as an improvement in lipid metabolism. GMD resulted in significant reductions in food intake and intestinal malabsorption of free fatty acids, both contributing to improved body composition and metabolic profile. Mechanistically, GMD resulted in a significant reduction in serum palmitate levels as well as an increase in serum and liver bile acid levels, known to alter glucose and lipid metabolism. 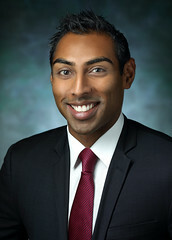 Similar changes were noted when VSG rats were compared with sham surgery rats. Therefore, devitalization of gastric mucosa, independent of altering gastric volume, was able to reduce obesity-related comorbidities. The gastric mucosa may be a potential target for treating obesity and its associated comorbidities. Figure 5. Gastric mucosal devitalization (GMD) rats had a lower body weight and reduced intrabdominal adiposity compared with sham surgery rats. The morphologic findings at 8 weeks postoperative were compared with those of sham surgery. GMD rats appeared smaller in size compared with sham surgery rats. Additionally, GMD rats had grossly diminished adiposity of the greater omentum and surrounding intestinal organs. Findings were quantified in Figure 2 . HFD, high-fat diet; SH, sham surgery; GMD, gastric mucosal devitalization; VSG, vertical sleeve gastrectomy. Patients often ask why VSG has superior outcomes to laparoscopic gastric plication and endoscopic sleeve gastroplasty despite all 3 procedures reducing the gastric volume in a similar manner. In VSG patients, the improvements in metabolic profile (in both the short and long term) are significantly superior than laparoscopic gastric plication and endoscopic sleeve gastroplasty patients. We suspect the reason for this lies in the fact that the gastric mucosa is not removed in laparoscopic gastric plication or endoscopic sleeve gastroplasty but is removed in VSG patients.